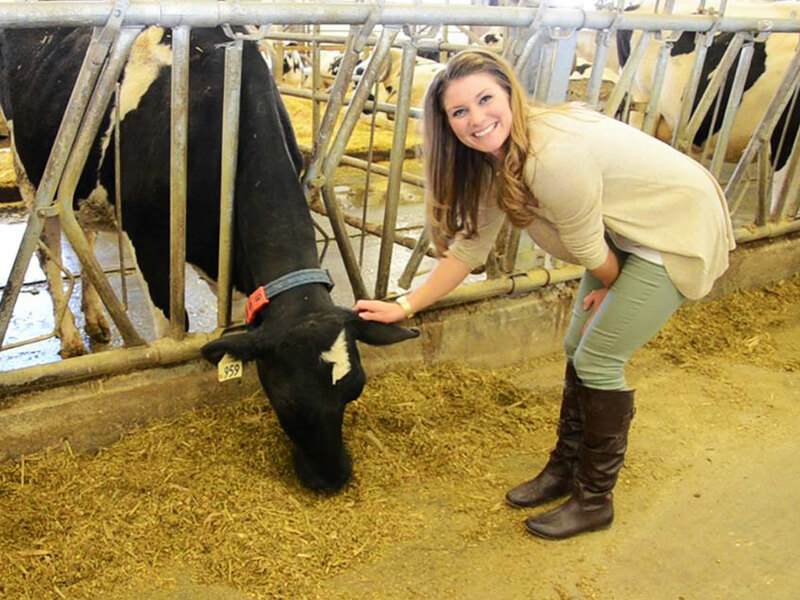 Meet the Saskatchewanderer May 3, 2015 · 8 min. readThis article may contain affiliate links. In 2011, Saskatchewan's Ministries of Parks Culture and Sport started the Saskatchewanderer program. The purpose of the program was to hire a Saskatchewan resident full-time for one year to explore the far corners of the province, and become "Saskatchewan's official adventurer, explorer and storyteller". This program is used to highlight all the well-known and lesser-known wonders of this beautifully rectangular province. I had the wonderful opportunity to meet the fourth official Saskatchewanderer, Ashlyn George. Ashlyn is a "27 and a half"-year-old adventure blogger who had a childhood dream of being either a ballerina or a doctor. Being born in Leslie, Saskatchewan, she moved to Saskatoon and got both an Education and English degree. While in university, she traveled to Guatemala for an incredible educational experience, solidifying her current love for Central America. After graduation she spent six months traveling through Oceania, meeting many other travelers and learning about other corners of the world. Although she found teaching to be fun and rewarding, it wasn't her passion. Instead, as she soon discovered, travelling was. "Once you start traveling, you don't cross things off the list..." she said. "You actually start adding things to your list"
To date, Ashlyn has been to 40 countries and 6 continents. She started her personal blog, The Lost Girl's Guide to Finding the World in October 2013. She had just launched her blog when her friends first told her about the Saskatchewanderer program. Although she was interested at the time, she was too busy traveling to drop everything and come back to Saskatchewan. The next year, however, when the opportunity presented itself she decided it was the right time to come back. She received an email from her mom about the position, applied for it and while traveling through Madagascar she revived another emailing saying she had gotten the job. By January 12th she had hit the road as the fourth Saskatchewanderer. "It was fairly rushed," she said, "but they were fairly flexible because it was Christmas and New Years and flights would be expensive and hard to get." Although she has only been on the road for four months, she has traveled over 8,000 kilometers. With the first few months being a very cold, harsh winter, you'd expect it would have been quiet. Instead, February was "insanely busy". That month alone she shot 5 videos, attended the Scotties in Moose Jaw, and went snowmobiling, cross country skiing, bird watched, and participated in the Red Bull Kite Farm just outside of Regina. 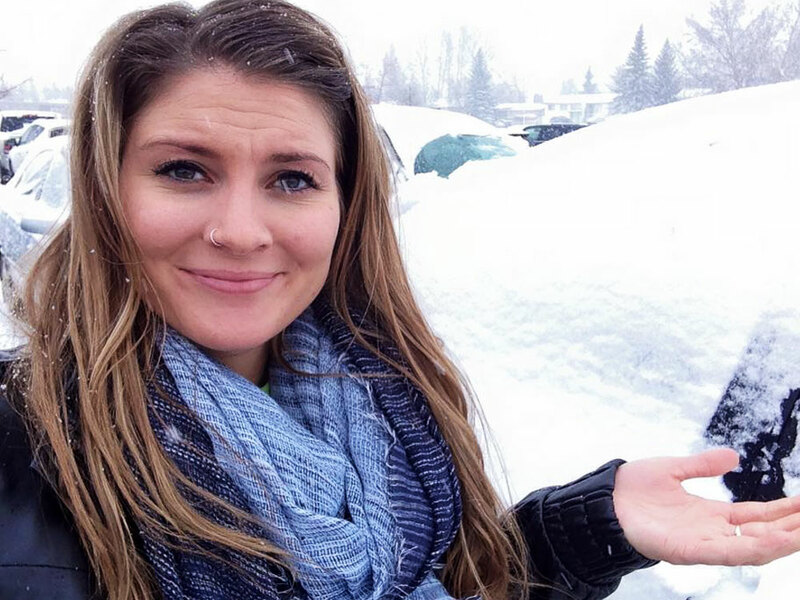 While she had never snow kited before, she discovered it had a "great community" and was happy to see the event had brought in people from all over the world. The winner of the competition would go to Norway and represent North America at Red Bull Ragnarok. 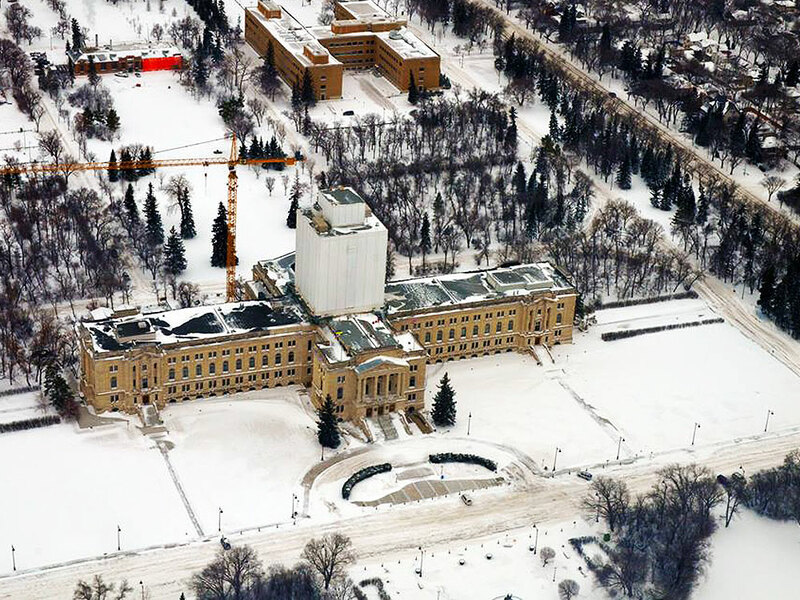 While there she spoke to Dale Tidy, one of the Red Bull photographers, and he was able to rent a plane allowing them to fly around Regina for the afternoon, taking aerial photographs of the city. March was another busy month, with her snowmobiling the around Nistowiak Falls in La Ronge and visiting Rayner Dairy Research and Teaching Facility. She also went to an SJHL game in Melville. "It can be very 'go, go, go'," she said, "and it is challenging live blogging events and posting about it on social media while trying to fully experience the event. Sometimes a simply post can take anywhere from 10 to 20 minutes to write." Some people might call what she does a "vacation", but it isn't; it's a lot of hard work behind the scenes. "But don't get me wrong; I love my job." This summer will be jam-packed with activities, but Ashlyn has her personal ideas on what she wants to do in Saskatchewan. One of them is to stand in every corner the province, and another is to go geocaching (treasure hunting with a GPS, if you are unfamiliar). Geocaching has become fairly popular, and Ashlyn has accidently discovered several of the caches by accident. In fact, in Regina alone there are over 200 caches! Later this year Ashlyn will also being flying up to Pine Island Resort, one of Canada's best fly-fishing locations. "It's cheaper to travel than most people think," she mentions. Her experiences have taught her that it costs about $2,000 a month to travel comfortably in another country doing mostly everything you'd like to. She broke that down for me and said for her, she spends about $66 a day. Traveling through Oceania often cost more than that as having a place to stay cost $33 a day and she still had to eat, get around, and pay for activities but traveling through Vietnam cost much less, around $26 a day ($800 a month) total. She says she spends much less a year traveling that most people do not traveling. Then again, she also is very conscientious with money and can tell you how much she's spent on ice-cream in the past 5 years. In addition, couponing, going during the off season, and making your own meals are some ways to save money when travelling. With eight months left of her dream job to go, she is certain she will see new and wonderful things, and meet even more wonderful people. Coming from somebody with a global perspective, she mentions how "Saskatchewan is a wonderful place" and is happy more people are beginning to realize how many different things there are to do in their province and are actively trying to find new things to do. "People in Saskatchewan love Saskatchewan", she says, and mentions how incredibly grateful she is for this opportunity to share the province with the rest of the world. Ashlyn will be back in Regina June 15th-21st, and again on July 16th, during which she will be looking for restaurants to discuss in her blog. If you have any ideas or suggestions as to where she should go, feel free to contact her on her Facebook, Twitter or Instagram. Also feel free to check out The Lost Girl's Guide to Finding the World and follow her continuing adventures throughout the world. All images used with permission from Saskatchewanderer, The Lost Girl's Guide to Finding the World and Google Maps.